Los Angeles, September 2, 2016 — On the evening of August 28, close to 400 supporters attended Match for Life, the 17th annual Gala of the Armenian Bone Marrow Donor Registry (ABMDR). The jubilant event took place at the Glendale Hilton, in Glendale, California. 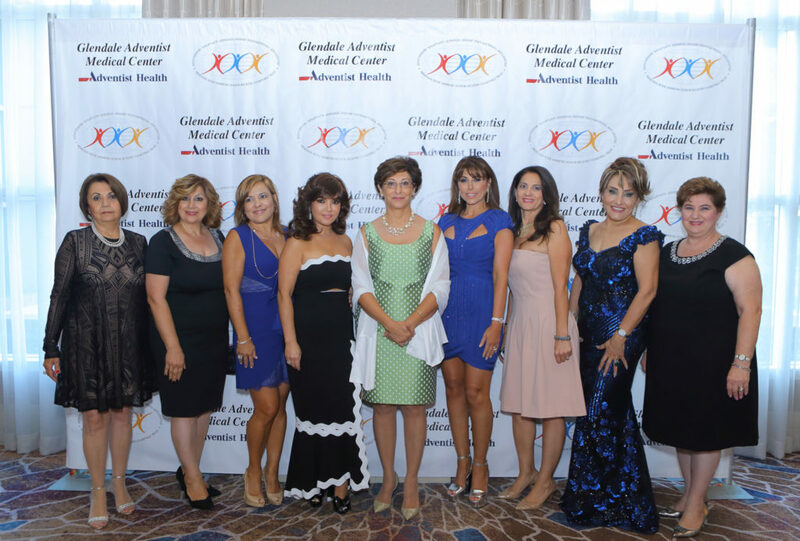 The Gala was made possible by the major sponsorship of Glendale Adventist Medical Center. 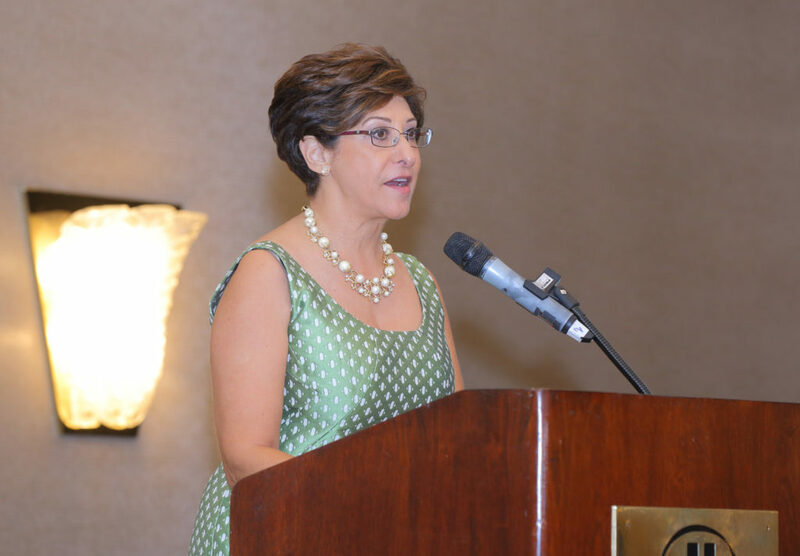 After a cocktail hour and silent auction in the foyer and terrace of the Hilton’s Glendale Ballroom, the evening’s main program began inside the hall, with welcome remarks delivered by Gala Chair Ramella Markarian and Co-chair Amy Boyadjian. 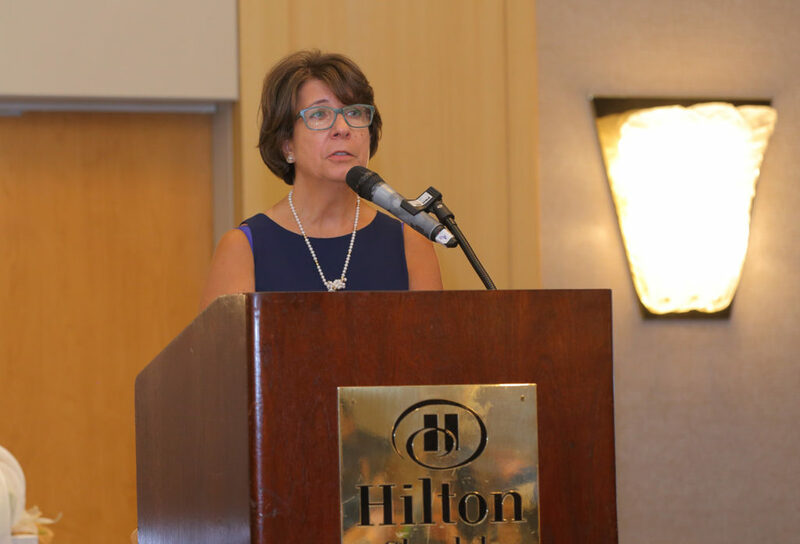 “Over the past 17 years, ABMDR has been growing and advancing because of your ongoing commitment to its life-saving mission and projects,” Markarian said as she addressed the attendees. “There is nothing more gratifying and rewarding than to be able to touch lives and make a difference. 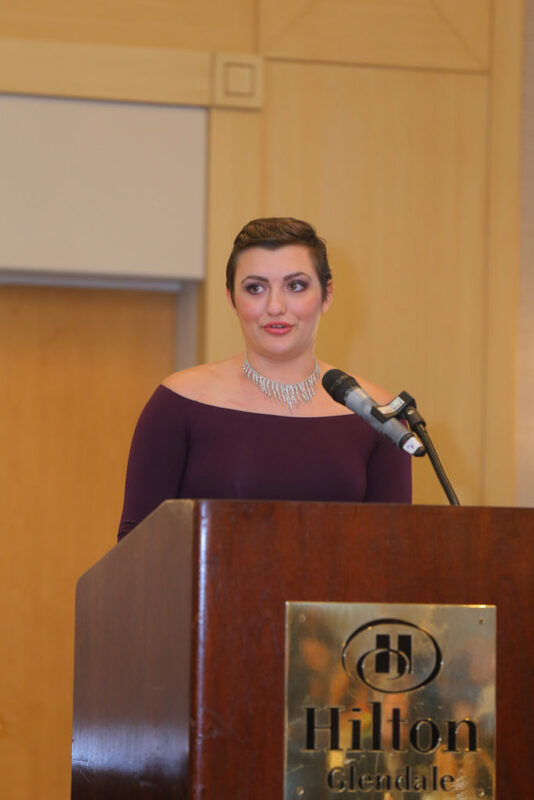 And you, our dear guests, each and every one of you, are making a difference.” On her part, Amy Boyadjian echoed the same sentiments and introduced the evening’s Mistress of Ceremonies, Salpi Ghazarian, the director of the USC Institute of Armenian Studies. “The mission of ABMDR never pauses,” Ghazarian said. “It runs all year, with the support and help of some incredible people — including the leadership and volunteers of the organization — and all of you here tonight. What you do is hugely important in terms of engaging the world, in terms of being a part of a global process to save human beings. Moreover, you help build community through the work of ABMDR.” Ghazarian acknowledged the presence of several dignitaries and guests of honor, as well as representatives of community institutions and health organizations, including Armella Shakaryan, representing the Armenian Consulate in Los Angeles; Glendale mayor Paula Devine; Glendale City Clerk Ardy Kassakhian; Burbank City Councilmember Bob Frutos; Los Angeles County Supervisor Michael Antonovich, who issued a special Declaration in honor of ABMDR; Father Serovbe Alanjian, representing Archbishop Hovnan Derderian of the Western Diocese; Archpriest Father Vazken Atmajian, representing Archbishop Moushegh Mardirossian of the Western Prelacy; Glendale Adventist Medical Center President and CEO Kevin Roberts; and Dignity Health Glendale Memorial Hospital and Health Center president Jack Ivie. The invocation, by Fathers Alanjian and Atmajian, was followed by the evening’s keynote speech, delivered by Dr. Frieda Jordan, President of ABMDR. “In 1999,” Dr. Jordan began, “our shared knowledge, as Armenians and medical professionals, paved the way for a pan-Armenian and internationally recognized health organization, the Armenian Bone Marrow Donor Registry, which has gone on to mobilize the worldwide Armenian community for a wonderful cause, and, most importantly, has helped save many lives, Armenians and non-Armenians alike. “Knowledge is power, and today increasing public awareness of our mission and enhancing our global reach remain two of our top priorities,” Dr. Jordan continued. “It is in this context that we’re now in the process of implementing a state-of-the-art global-networking software. The goal of increased knowledge is the driving force behind our first-ever Cancer Symposium, which will be held on September 17 in Los Angeles. Finally, it is also in the context of knowledge and the resolve to act on it that our legions of supporters and volunteers continue to expand our ranks of donors. Tonight I convey our boundless gratitude to all of you who are moving mountains to bring to others the most precious gift imaginable: the gift of life!” Next Dr. Sevak Avagyan, Executive Director of ABMDR, took the podium. “ABMDR has over 28,000 bone marrow donors in 28 countries across four continents, has identified more than 4,200 patients, and facilitated 26 bone marrow transplants,” Dr. Avagyan said. “As importantly, our lab in Yerevan continues its pioneering work in stem cell harvesting and research, autotransplantation, immunophenotyping, cord-blood banking, and, of course, tissue-typing. Yet it is humbling to look out at the vast expanse of the world and recognize that there are still many people whose lives have not been touched by our work. Tonight we renew our commitment to recruit thousands of more bone marrow donors from key Armenian communities such as those of Argentina and Russia, toward our overarching goal of saving lives. Thanks to your ongoing support, we have every confidence that this vision will soon become a reality.” At the conclusion of Dr. Avagyan’s speech, Dr. Jordan presented a special award as well as a Certificate of Appreciation to Kevin Roberts, president and CEO of Glendale Adventist Medical Center, in recognition of its major sponsorship of the ABMDR Gala. As he accepted the awards, Roberts said, “We at Glendale Adventist extend our appreciation to the Armenian Bone Marrow Donor Registry. It is a beautiful thing to be one of the little pillars of a grand vision which Dr. Jordan and her colleagues have nurtured all these years. 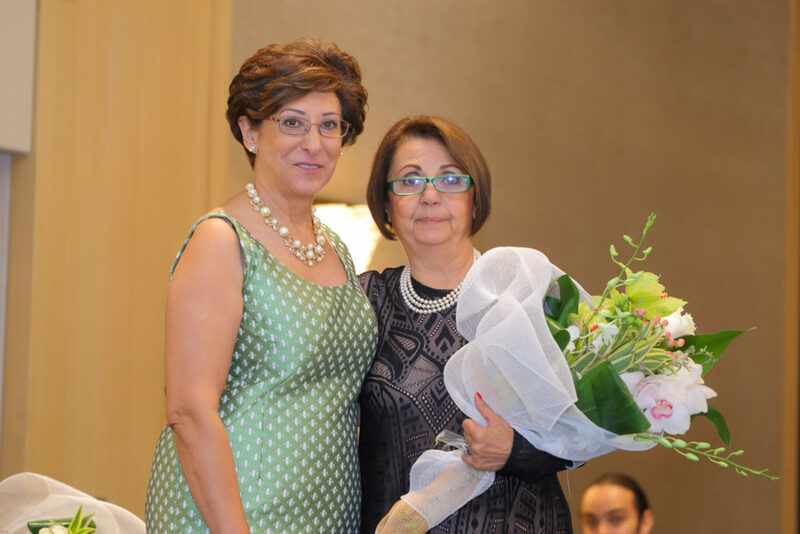 We’re in awe of what you do and glad that we can be just a little part of it.” Dr. Jordan also presented a Certificate of Achievement to ABMDR West Coast Recruitment Officer Fimi Mekhitarian, for her outstanding outreach achievements as well as her design of the Gala book. In addition, Dr. Jordan recognized ARTN Shant TV host Rubina Matevosian, for supporting ABMDR’s outreach efforts by making the Shant television studios available for ABMDR programs. At this juncture of the event, the attendees were shown a short documentary on the latest transplantation facilitated by ABMDR, featuring a Yerevan nurse who helped save the life of a patient in Israel. Following the screening, a deeply moving speech was delivered by young cancer survivor Bliss Saleebyan. “Despite the severe attack my body was under, I fought not just for my life but for my strength and dignity,” she said. “There is no way I could’ve done so well without the care of those who supported me, especially the truly exceptional nurses and doctors at Glendale Adventist Medical Center. Luckily my cancer hadn’t spread to my bone marrow. However, if I had not been so fortunate, I would’ve found my own name on the long list of those in need of bone marrow donors. 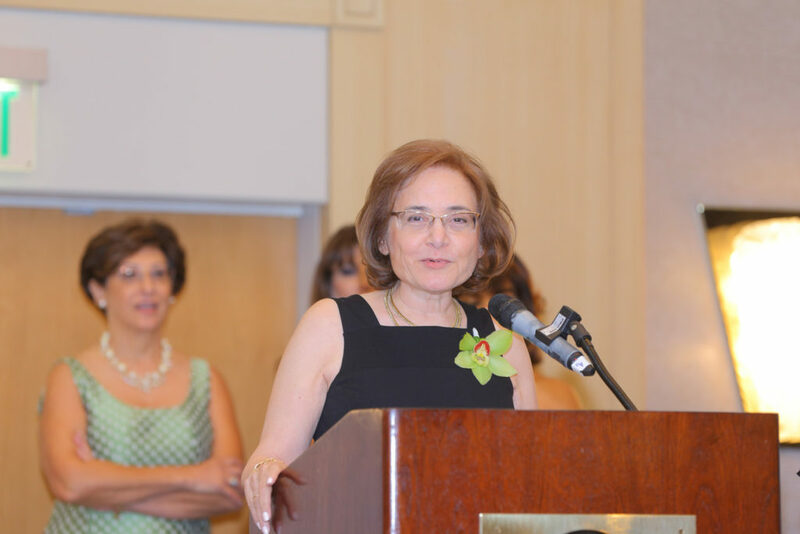 As a young Armenian who has been in this position, I cannot express how important ABMDR is to our health and the cohesiveness of our communities, given our unique genetic composition.” Subsequently Dr. Jordan was joined on stage by Ramella Markarian and Amy Boyadjian to honor the 2016 ABMDR award recipients. 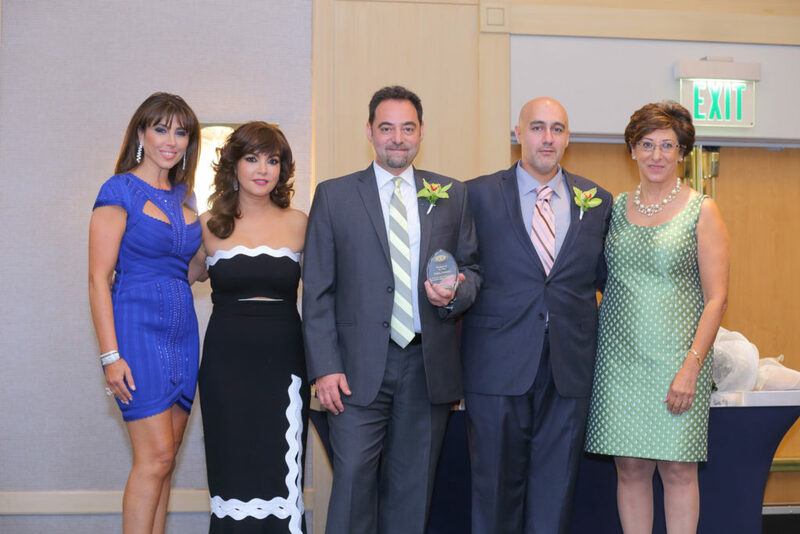 The ABMDR Woman of the Year Award was conferred on Alvart Badalian, head of the ABMDR New England Support Group; and the Man of the Year Award was presented to Dr. Nubar Boghossian of the Los Angeles Cancer Network. 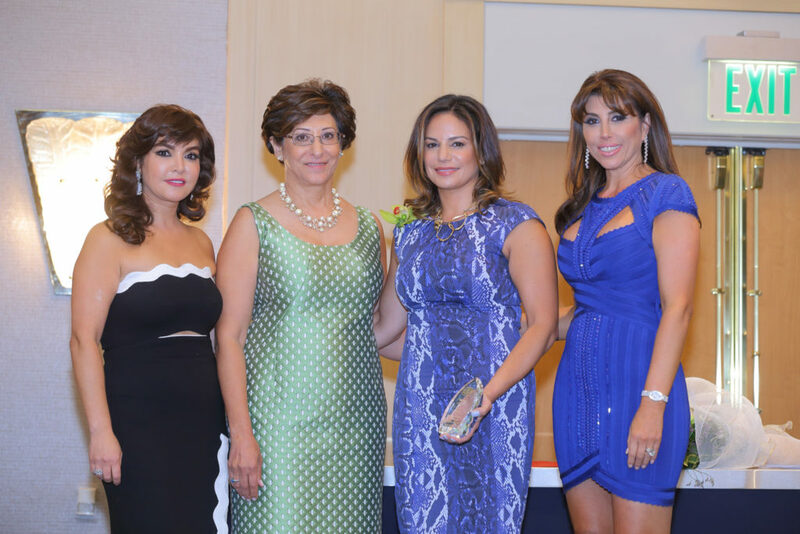 The Volunteer of the Year Awards were bestowed on Tamara Ashjian, Esq., and Sonia Nersissian. The Organization of the Year Award was conferred on the Chamlian Armenian School. The Team of the Year Award was presented to the ABMDR New England Walkathon Team. 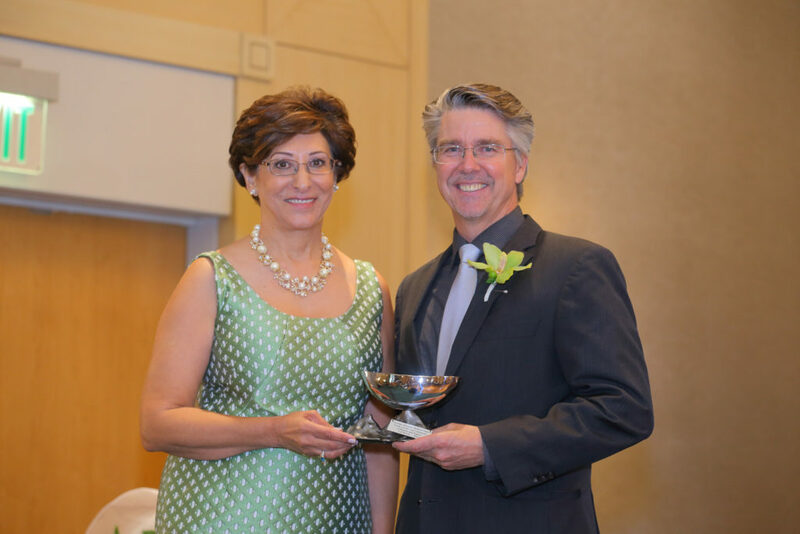 The Business of the Year Award was presented to Softline Solutions, and the Lifetime Achievement Award was bestowed on Tereza Hacopian. Several award recipients delivered heartfelt speeches. “Joining ABMDR has been one of the best decisions of my life,” Alvart Badalian said. “I was also fortunate that many friends, family members, and colleagues back in Boston shared my enthusiasm for the ABMDR cause and helped me establish the organization’s Support Group in Boston. Today we’re very happy to mark the tenth anniversary of our Support Group and the fifth anniversary of the New England Walkathon. On behalf of my committee and myself, I thank Dr. Jordan and ABMDR for giving us this opportunity, for the recognition and awards. 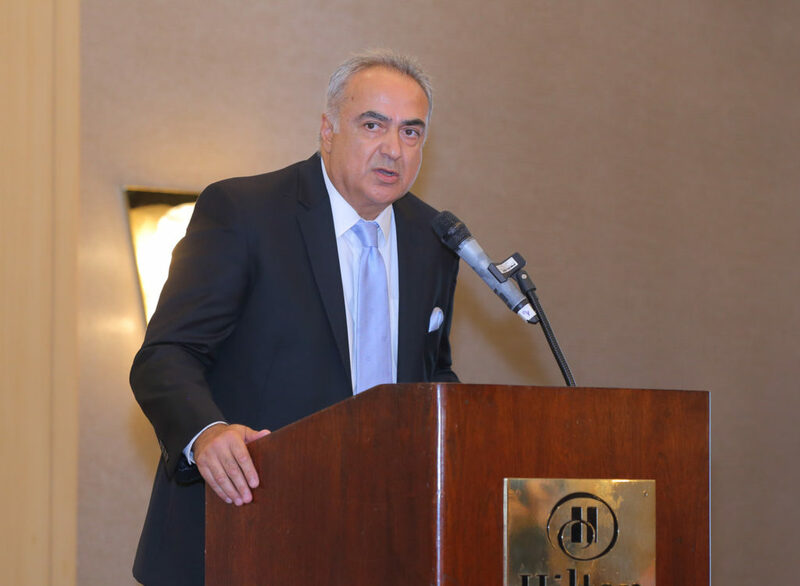 I am and we are honored.” “The more donors we have in our registry, the higher the chances of finding an exact, perfect match for patients suffering from life-threatening illnesses,” said Man of the Year Dr. Nubar Boghossian in his remarks. “Let’s help everyone. Let’s continue to empower ABMDR, which has been helping Armenian and non-Armenian patients throughout the United States and worldwide. 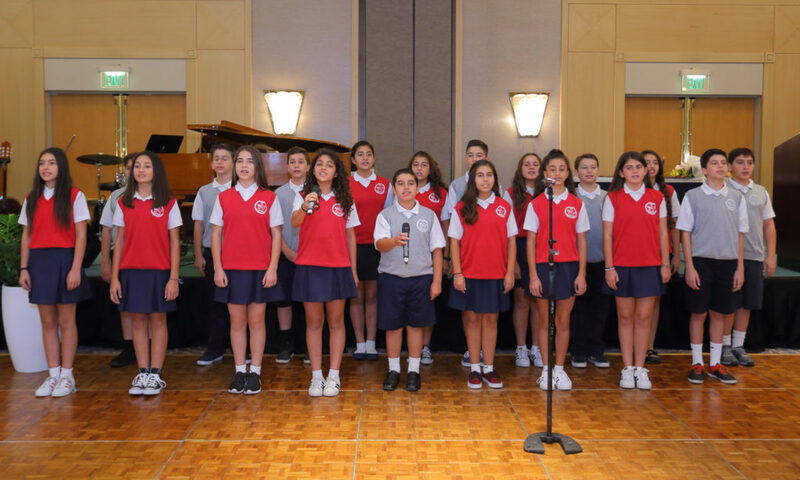 I would like to thank Dr. Jordan and all her colleagues for devoting their time and energy to this noble mission.” “It has been our honor to volunteer with ABMDR,” said Dr. Tali Kargodorian, Principal of Chamlian Armenian School. “It has been a privilege to collaborate with such an important organization, which carries out a mission that literally saves lives. We would also like to thank ABMDR for always willing to go above and beyond, by partnering with our school during science fairs and workshops. On behalf of the entire Chamlian School family, please accept our gratitude for this award.” “As a cancer survivor, I have a profound appreciation for the compassion, care, and dedication exemplified by ABMDR,” said longtime supporter and ABMDR Board member Tereza Hacopian, and continued, “Volunteering for this wonderful organization and advocating for its cause have been among the great joys of my life, and I’m truly honored to receive the ABMDR Lifetime Achievement Award.” Subsequent to the award-recipient remarks, a group of students from Chamlian Armenian School enchanted the attendees with their energetic recitation and vocal performances. The guests were also entertained throughout the evening with the uniquely beautiful performances of the Allen G. Acoustical Ensemble. In the concluding segment of the event, the 2016 ABMDR Lottery winners were announced as the young ABMDR Angels drew the lots. The ABMDR Gala Committee. ABMDR President Dr. Frieda Jordan. ABMDR Executive Director Dr. Sevak Avagyan. 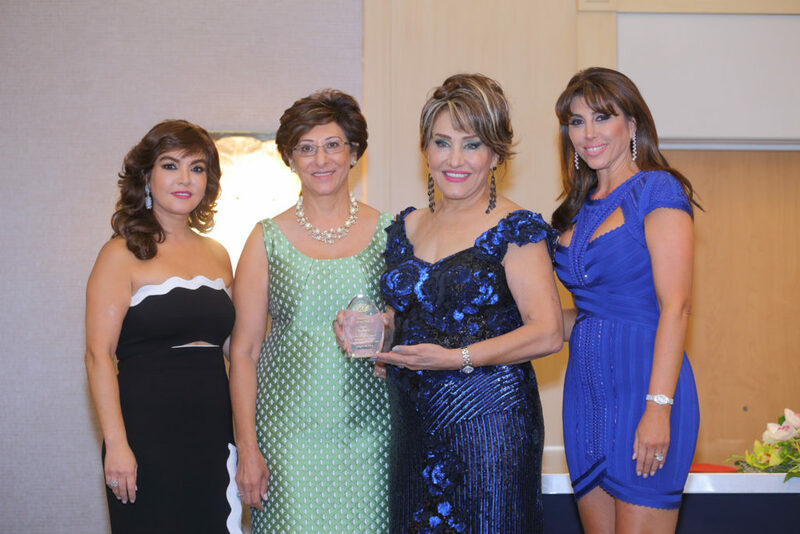 Alvart Badalian, Woman of the Year. Dr. Nubar Boghossian, Man of the Year. Tamara Ashjian, Esq. (third from left), Volunteer of the Year. 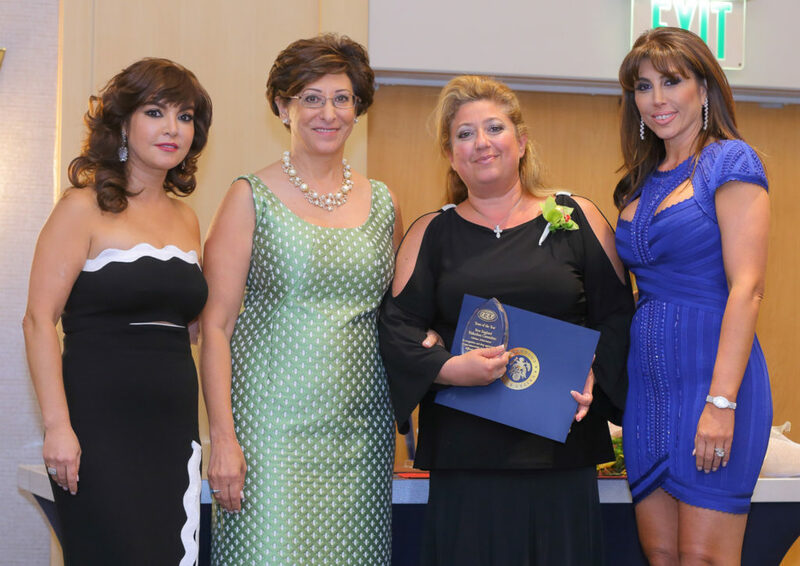 Sonia Nersissian (third from left), Volunteer of the Year. Kevin Roberts, President and CEO of Glendale Adventist Medical Center. 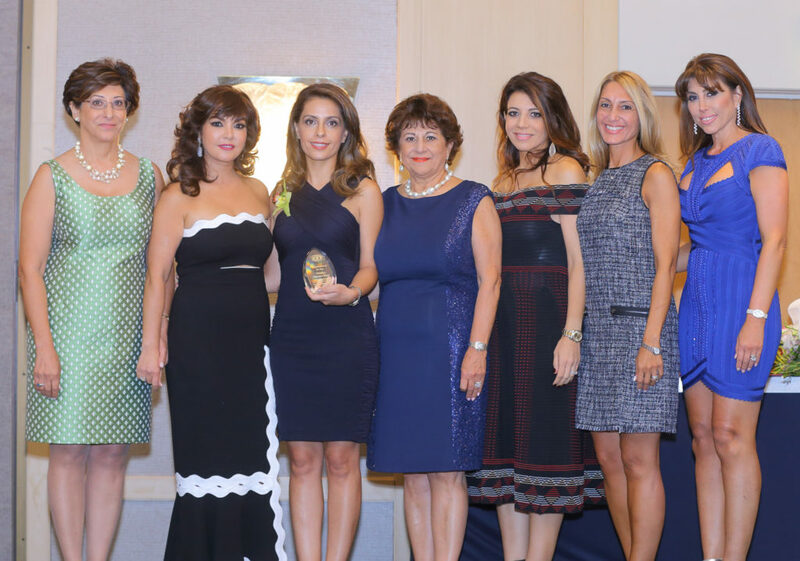 Dr. Talin Kargodorian, principal of Chamlian Armenian School (third from left), holding the Organization of the Year Award. Maral Der Torossian, of the ABMDR New England Walkathon Team (third from left), holding the Team of the Year Award. Mistress of Ceremonies Salpi Ghazarian, the director of the USC Institute of Armenian Studies. Hratch Postik (third from left) holding the Business of the Year Award for Softline Solutions. 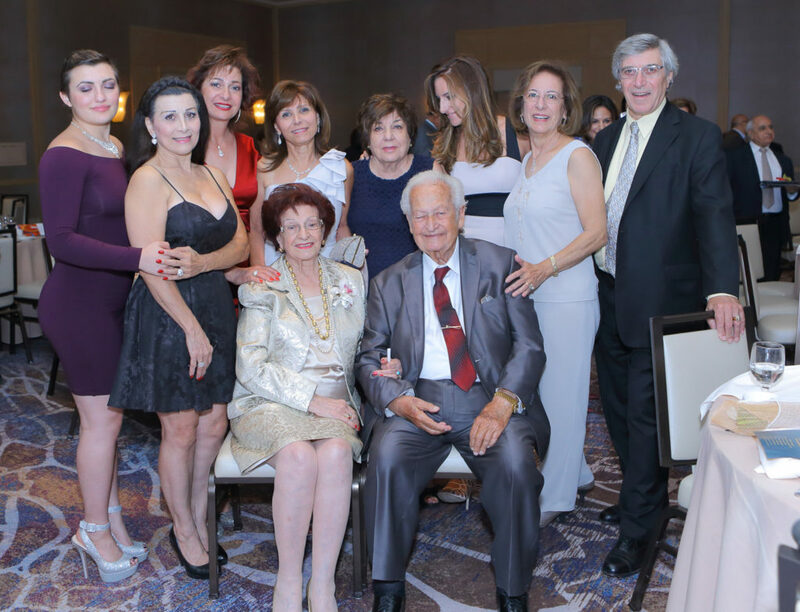 Tereza Hacopian, Woman of the Year (seated), with family and friends. Dr. Frieda Jordan and ABMDR West Coast Recruitment Officer Fimi Mekhitarian. Students from Chamlian Armenian School during their performance. Bliss Saleebyan. Dr. Frieda Jordan and Rubina Matevosian of ARTN Shant TV. Photos by Gevorg Gevorgyan, courtesy of ABMDR.